Writing a blog post is very easy, but for a proper and quality content blog post you need to follow the different steps and rules of writing content. Here, we will discuss how to write a blog post from start to end to generate 37k visitor for your website every month with proper tips and steps that you need to follow and you will get a quality post with amazing content. You can use these tips or steps for B2B and B2C both types of blogs easily and write blog posts. The basic tip and step is Title of the post if your Title is not according to the post or not an eye catch title than no one will read your blog post or content of your website. To divert your organic or paid audience you need to write a creative or eye catchy title according to the post content. The best example to learn how to write a title of a specific post you need to check magazine where you can amazing titles of different content and these titles are very eye catchy and creative according to the content and you will love to read these titles and their content. So, always write a creative or eye catchy title of your post according to the content. Second tip or step is Introduction to your post where you write a small intro of your post. In introduction just write a bold or exact content in which you explain what you want to say or introduce in front of your audience in a very short form. For example, here I’m writing about How to Write a blog post from start to end and get 37k visitors on your website. Just make sure that your introductory part of your post is exactly according to the title of the post and short. Tip3 is about the Body of your post. Make sure that your body contains subheadings, bullet points, and paragraphs. Try to write a paragraph about 5 to 6 lines and try to explain every point with catchy words and short form so everyone can easily understand what you want to say and try to write content which is easy to understand for your audience if they don’t they will leave your blog post without reading that post. Last but not least tip, always write a conclusion of your post it will help your audience to understand what did you said and how beneficial this article is for your audience. By applying this tip your audience will leave a comment for your blog post and upvote your article. The last tip is try to link other websites or blog into your blog post or content of your website about the article which help other audience to learn more about new posts from other resources and they will definitely come to your website or blog again for more posts and data. This tip will help you to get more trust rank in search engines. 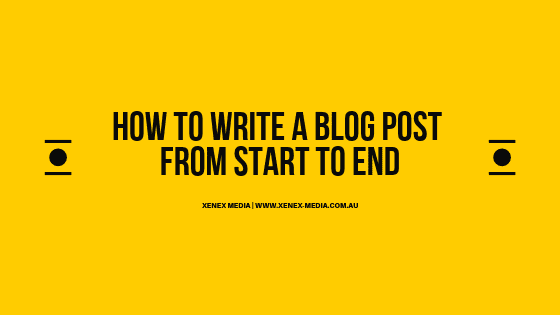 So these are tips that you can use for How to write a blog post from start to finish step by step and you can easily generate more and more traffic on your website or blog.